As well as open consultation events, the ‘Getting Around‘ subject group is also speaking to stakeholders who can provide specific insights and evidence. 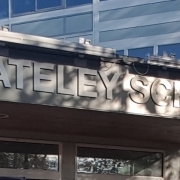 At the end of October, our group co-lead Paul Simpson met with the headteacher at Yateley School, Paul German, to discuss how this subject affects the school, and how we might also be able to ensure we can include young people’s voices as we collect opinions and evidence. It was a really useful meeting, and we were really grateful for the time Paul German gave us. 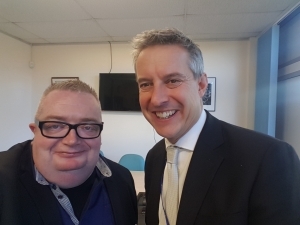 Paul Simpson, with Yateley School headteacher, Paul German. On Thursday 22nd November, Paul will have a stand at the Careers Evening being held at the school. He will be sharing his personal insights about careers in public relations, but as part of that, will be giving anyone who pitches up at the stand the opportunity to take part in the consultation about ‘what we need to know‘ about their experiences of getting around the area. If you are going to be there, do come and have a chat. We want to listen to ALL voices, including young people. Whether it’s the school-run, or provision of school and college buses; or whether it is how easy it is for young people to get around the town safely (or further afield), or something else completely, we are looking forward to collecting specific insights in this area as they relate to schools and education more generally too. As part of documenting the journey of group’s work, this post continues to introduce you to more of our group’s members. ‘Getting Around’ group members Paul Simpson (left) and Camilla Bailey (right). Continuing the education theme, Camilla Bailey is a teacher and governor at Yateley School, who lives in Darby Green. 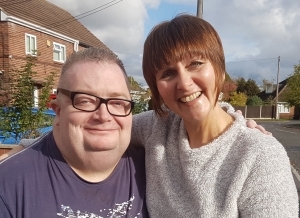 She is all too familiar with the impact on getting around for older and disabled residents, having an older parent living in Yateley who has long-term care needs. Camilla is a driver. 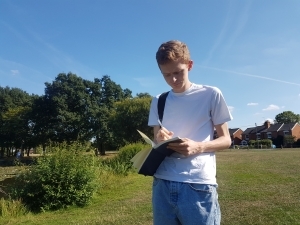 ‘Getting Around’ group co-lead Luke Buckland, ‘walking the patch’ as he collects evidence. The other co-lead of the group is Luke Buckland. Luke is a recent university graduate who works in retail in Yateley. He grew up in Yateley, as did his parents, and grand-parents. Luke is a driver.